Stay in an area with an exit and avoid letting the other person get between you and the exit. Avoid rooms with weapons, such as the kitchen. Have emergency 911 phones hidden throughout the home. Establish your independence. Open savings and credit card accounts in your name only and specifically instruct institutions that your partner is not to have access. Determine safe people you can stay with and plan leaving with. Devise a safety plan for leaving work, such as exiting through the back door. Rehearse what you would do if something happened while going home, such as picking a safe place to go to. Identify who you can rely on for emotional support and call our Crisis Line at 503-469- 8620 or toll free 1-866- 469-8600. If you have to communicate with your abuser, determine the safest way to do so and avoid being alone with them. Advocate for yourself and your needs. Find people and resources you can safely and openly talk to and ask for help. 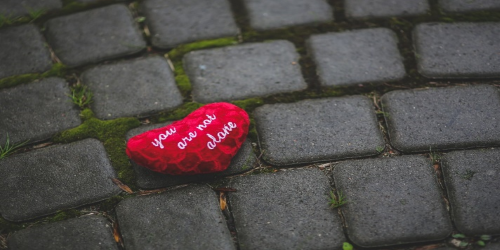 You are not alone, and you do not have to go through this by yourself. Look into counseling and support groups that directly address your experiences and needs. Find ways to care for yourself: exercise, make time to relax, create a safe environment, do things you enjoy, get as much support as you can. Remember that all computer and online activity may be monitored. Abusers may monitor your emails and internet activity, if you are planning to flee to a particular location, don’t look at classified ads for jobs and apartments, bus tickets, etc. It is safer to use a computer in a public library, at a trusted friend’s house, at an internet cafe, or any other public terminals. store, or Best Buy Geek Squad and have it thoroughly checked. If your phone has been compromised and you get a new one, do NOT update your phone from the cloud.